Being a doctors receptionist is no easy task, and certainly not the job some people seem to think it is, some think it’s sitting at the desk booking patients in to see the doctor and handing out prescriptions, oh no it’s so much more and more again. Being a doctors receptionist is a bit like marmite, you either “love it or hate it”. The receptionist that ‘loves’ his/her job will be loyal, hard-working and very proactive. They are the ones that can see problems ahead, make the best suggestions and really want the best for the practice. They are the ambassadors of your practice. It saddens me when at some of my training sessions I hear that they sometimes do not feel appreciated and they don’t feel part of the team. They often blame Management for lack of communication who are occasionally not caring and unapproachable. This might not be true, but it’s how they feel. Lack of training is also another complaint that I hear of often. Many Receptionists feel that they could do so much more in their role, if only they had the appropriate training. This is where I step in and defend the managers! I know how hard the role of a manager can be, often being piggy in the middle; the Partners shouting on one side and the Staff on the other. There are budgets to follow and targets to hit, whilst trying to stay loyal to both sides. Being a manager can often be a very lonely job. Who is there for the Manager when it gets tough? My role of manager soon taught me that communication is key. In communicating with the receptionists I came to learn, first hand, what the problems in reception were, before it got too late and became a bigger problem than it already was. Receptionists need to know what is going on, if they don’t they often jump to the wrong conclusion. They will often gossip between themselves and make up their own minds, which can often cause bad feeling within the team. Having a team with a low morale is often extremely hard to turn around. What is the best way to communicate with your receptionists? Hold Regular staff meetings; weekly, twice monthly or monthly. Ask the staff to contribute to the agenda, make the meetings their meetings. Make the meetings interesting! If they are interesting the staff will actually want to come, they will contribute and as a result they will be a success. Rotate the meetings on different days and times to enable part-time staff to attend at least every other meeting. It’s your chance as a manager to give the facts, to tell them as a team what is happening within the practice; it’s a great way to avoid rumours and discontent. Take minutes for future reference and make copies available for those that were unable to attend. Make a copy for the partners too. Ask a Partner to attend a couple of meetings a year, this shows support, and in my experience, always goes down very well with the receptionists. It also gives the Partners an insight in what is happening in reception and how hard their roles can often be. Use the meeting to discuss any issues that have occurred and ask the team how they feel it could have been dealt with, often they will come up with the solution. This will help in the future as they will then start to solve problems themselves, rather than running to you every time, expecting you as the manager to have the answer. Meetings can often make the team more proactive. Another complaint is lack of communication. Often, many of the staff will be told something but others don’t hear about it. This can lead to confusion and often anger, which can result in jobs not being done properly, as some staff have not been informed. A lot of the time this happens to staff who are on holiday or that work part-time. Memos or emails sent to every member of the team seems to work well. Having a receptionist message book works extremely well. Receptionists can leave messages that everyone can read before they begin their shift. Another way of communicating with your staff is to simply show your support. Go and see what they are doing and praise them regularly. Most importantly, always remember how difficult your job as a manager would be if the receptionists did not do their job well. 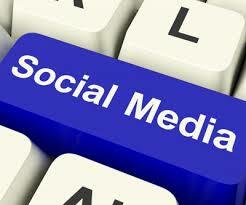 Many of us use social media, Facebook, Twitter, LinkedIn and more. Most of us use it for social purposes, sharing news, pictures, keeping in touch with family and friends, and some of us use it for business purposes. There is no doubt about it social media is a marvellous thing but it also has a darker side. People sharing information and pictures without the permission of others, to comments being made that could result in bullying or even worse. I have a friend who was mortified last Christmas to find that pictures that had been taken on a Practice works night out when she was “a bit worse for wear” had found their way onto her Facebook page. She had a few too many drinks and unfortunately tripped up a curb, someone took a picture and thought it would be funny to post this with other pictures of the night on their Facebook page. Unknown that these pictures had been taken; she only discovered them when she was tagged into the pictures. This resulted in he sons, husband and other members of her family and many friends seeing her in pictures she would rather them not have seen. She was not happy and it in fact caused a row at work on the Monday. There was bad feeling between the two for some time, and this in turn affected the moral within the team. The team divided in their opinions some feeling that the person who had posted the pictures had done no wrong, and some feeling that my friend was right in feeling angry. The row developed and a complaint to the Practice Manager and it all got very unpleasant. Another article I found interesting recently was a Doctors Practice displayed a notice in their surgery asking patients not to use Facebook or Twitter to complain about their service. The notice asked patients if they had any complaints or comments about the surgery would they please contact the Practice Manager as any comments on social media sites may be seen as a breach of their zero tolerance policy. The surgery said in the notice that they would be happy to deal with comments/complaints in the usual way. The “zero tolerance policy” referred to appears to be NHS guidance on dealing with rude, abusive or aggressive behaviour towards staff. Apparently the online comments about the surgery named staff and swearwords were used and this what prompted the decision for the practice to put the notice up. I think the practice was right in asking patient not to use social media for this, as the practice would not have been able to respond to any of the comments because of confidentiality issues. If staff were named this could have been seen as a form of bullying, and the staff member would have every right to feel threatened about it. There are other stories that have recently been in the headlines, which have involved Facebook, a Neapolitan woman following a marital row her husband demanded that the photographs of their honeymoon be taken down from her Facebook page. His argument was he had not given his permission to publish them, and he even took her to court over it. The Naples court has not only agreed with him but the wife may have to pay him damages. The pictures were taken on the couples honeymoon 10 years ago and included photos of the couple. 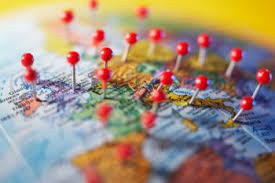 Another article recently has also highlighted the importance of holidaymakers sharing their plans on social medial. It could be read and used by criminals planning a burglary. This information can be seized by thieves – from research said that some 78% of ex-burglars said that they strongly believed social medial platforms are being used to target property. I think we all need to be aware of the repercussions of staff sharing information on their personal social media sites – especially if it involved their workplace. It could be a very interesting topic to have on your next Receptionist Meeting to discuss using pictures on social media that might be anyway involved their place of work. But most important as an employee they must understand never get drawn into any arguments about their place of work on any social media sites. Perhaps you could put something about social media usage in your staff contract. I was chatting to a friend the other day and we were reminiscing about the “old days” and what our memories were as a child and how things have changed especially in our line of work over the years. Mine was visiting my doctor as a child and just how things have changes so much over the years. The Surgery entrance was at the side of the house, a smaller less obvious door and was black in colour. We would walk through the door and straight into the small waiting room – the receptionist sat in the same room behind a desk with one cabinet that held the notes. Just one Doctor and one Receptionist, not even a nurse. No fax machines, no computers, no scanners just a desk, a telephone with one line and one filing cabinet. I used to think the receptionist was a nurse as she wore a white coat. Confidentiality was unheard of as the receptionist discussed ailments with the patients and many personal details given at the desk for all to hear. Everyone would hang on to her every word as she spoke to patients on the telephone – often speaking names, addresses and ailments – no confidentiality at all – yet it seems to be accepted. No radio or telly playing the background, no toys for the children to play with just a room with chairs and the reception desk. I remember later on in years I went into that same reception area and as I approached the desk the receptionist looked up, beamed and said congratulations on your pregnancy – the room was full of people, and people in there that I knew but the worse for me was I wasn’t actually pregnant, she had in fact got me mixed up with another patient. It never entered my head to complain, to me a mistake was made and she was truly sorry when she realised her mistake. I wonder how that would have been handled these days? We would then get called through to see the Doctor – as a child I was always in awe of her – she was old (or old to me as a child) but the one thing that enticed me into her room was the great big jar of jelly babies that sat proudly on her desk – if I was good I would always get a jelly baby before we left her room. I remember once actually getting 2 – I cannot remember if this was by mistake or if I had been particularly good. The room was grand, it had big French doors opening onto a big garden, which would be wide open in the summer and in the winter months she would have a big open fire blazing away, not a fire guard in sight and her much-loved sheep dog would be lying in front of it. No Health and Safety issues back in those days. There were no disabled access for patients in wheelchairs or any aids for people with special needs. Training for patient care was basic yet then sufficient. Training for general practice was in its infancy. Years rolled on and practices expanded and the new receptionist fared only slightly better. Often “sitting with Mavis” was accepted, the only method of training new staff. “Mavis” would tell the new receptionist what to do, showed her how to do it, and after a couple of weeks left her to discover the rest for herself. The title of Practice Manager was practically unknown; staff were expected to learn fast, no doubt acquiring good habits as well as bad. The knowledge and skills for the role as the receptionist were picked up by trial and error, and some very inappropriate attitudes were acquired along the way. Over the years the importance of general practice within the health service increased in leaps and bounds. Practices grew in numbers; multi disciplinary teams worked under the same roof, the Practice Managers became an extremely important part of the Practice. Larger Practices would have a whole management team run what now has gone from a one-doctor practice into a Practice that could have many doctors’ nurses and numerous other healthcare professionals working together with one aim – Patient Care. Patient care, confidentiality and health and safety became a vital part of our working day. However, sadly, until recently, the methods of training Receptionists within some organisations have failed to keep pace. 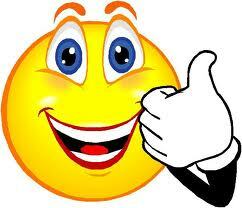 It is now generally accepted that quality of care and job satisfaction go hand in hand. Staff need to know not only what they are doing but also why they are doing it – “sitting with Mavis” is just not acceptable anymore. Receptionists must understand their role and how their individual job contributes to the care of the patients and the smooth running of the whole practice. Initial assessment should be part of the selection process before employment. What knowledge and skills does the applicant have as a result of past experience? Is the applicant flexible to fit in with the team? Are the applicants knowledge and skills appropriate, and, if not, can they be modified by training and experience? What the Practice believes that their Receptionists need in order to improve performances and satisfaction in their daily work. What new skills and knowledge the Receptionist needs to gain in order to cope with change. What the Receptionists themselves feels they need/would like to learn in order to expand their skills. Has your Practice moved with the times? Do you support your Receptionists with training? When managing staff it is always good to give them feedback. Yearly appraisals are a good opportunity for this but why leave it once a year? Here is a little exercise I used to carry out on my Reception staff. 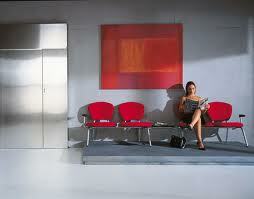 Sit in your Reception area at the busiest time of day. Observe what is happening in your Reception area – see how the receptionist deal with patients how they cope with the busiest time of day and how they copes with the pressure that the busy time can bring. Put yourself in the place of a patient – see it from their eyes and ask yourself how do they see our Surgery? Have a note-book with you and take notes – but the most important part of the exercise is not only to pick up on any negative issues but also highlight the positive issues too. Is patient confidentiality being broken? Can people in the waiting room hear conversations from the Reception Desk? Patient confidentiality it vital in any Practice – and more so at the front desk. not caring. A smile and a thank you go a long way. How does the Receptionist answer the phone? Is it answered quickly enough? Does the Receptionist deal with the call efficiently? Always make sure that your staff answers the phone with good morning/good afternoon – the name of the surgery and their own name. Staff than give their name takes ownership of the call more than those that do not give their name. Again, if they are in ear shot of the waiting room it is important that they remember Patient Confidentiality. What are the other staff doing whilst the busy time is happening – are they helping out? Often in Surgeries you have Receptionists at the front desk and others doing other things such as admin, typing, prescriptions – have you got a contingency plan for such busy times – if someone is busy on the front desk or on the phone do you have someone who can come and help out for short periods of time. upset a patient in the waiting room. the floor is dangerous – someone could easily slip and fall. Are the patients kept waiting for long periods of time (often a problem in surgeries) This unfortunately happens in every surgery. Observe how your patients feel about it – and how your Receptionists deal with the patients if they come back to the desk to complain/enquire about their appointment running late. Do you have a policy on Doctors/Nurses running late?Do you have a surgery policy about Doctors/Nurses running late? After you have done your observation bring them to your next staff meeting. I always find the best way to approach this is to tell your staff that it was not an exercise to “catch them out” but an exercise to find if and where improvements can be made. How well you thought the receptionist dealt with a certain patient/incident. How good their telephone manner is. How lovely and tidy the reception areas looks. How good they are with dealing with confidentiality. If there are any (and I am sure there will be) go onto the negative things that you found – discuss them and ask your team to give their opinion. Ask if there is a better way it can be dealt with. Include them in any decision-making. Include them in your findings. Staff do not like change so I always used to say – we can change it, try it and if it does not work we can look at it again. This always used to work. Make minutes of the meeting – ensure that you record any changes that are going to be made and ensure that everyone has a copy – including those that were unable to attend the meeting. Turn those negative into positives. Last Thursday I was approached from BBC Radio via my blog to do a live radio broadcast in response to a broadcast the previous evening. The previous evening there was a GP speaking about patients and the “stiff upper lip of the British” and that they should go and see their Doctor “sooner rather than later”. The radio station received several replies from some “unhappy” listeners saying that they have often found it difficult to get appointments at their surgeries. They mentioned lack of appointments, and rude Receptionists. I was asked along to talk about the role as a Receptionist. Whilst I didn’t have enough time to answer some of the emails sent to the radio station I would like to share a couple with you and what I feel would be a response I would have made. “Stiff upper lip? Certainly not. I agree that surgery clinics can often be extremely busy. Practices do acknowledge this and will try all avenues to spread the various clinics over the day/week. 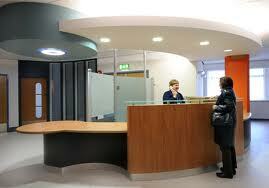 As the healthcare service continues to expand into general practice unfortunately the surgeries get busier. Many Practices offer baby clinics, various Nurse Clinics, minor surgery clinics, Health Visitors Clinics and many more and are often scheduled to run outside normal Doctors appointment clinics. Most Surgeries these days do have extremely pleasant waiting areas. Patients often have TV’s or a radio in the waiting room, magazines to read, an area for children, water drinks dispenser and other items hopefully making any waiting time as pleasant as they can. Many also have free wifi. Unlike not so long ago when you just had a waiting room and nothing else. A busy surgery is often one that is offering several different healthcare services under one roof meaning patients do not have to travel to their local hospital for treatment. Just because you might “see” a busy or “crowded” surgery does not mean it is not being run efficiently. 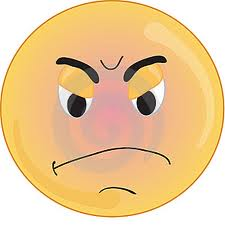 It saddens me to read that the gentleman finds the doctors and receptionists unapproachable – to this I cannot comment as I don’t have pacific details , if I was dealing with this gentleman at my surgery I would be asking in what way he found them unapproachable and would deal with it from there. Of course he also has the choice to move to another surgery if he is very unhappy with his present practice. And as for not working on a Saturday – many surgeries that I know of certainly do work on a Saturday morning. But, is this gentleman aware that there is always the out of hours service and they are there every evening and weekend after the surgeries have closed and therefore he has access to either speak or see a GP or healthcare professional 24/7. Many surgeries are now open to accommodate people who are working and often open from 07.00 through to 20.00 – 5 days a week. A pretty good service I think! I phoned for an emergency appointment when I realised I was suffering from depression. I was so distressed that I blurted out that I had been having suicidal thoughts. The receptionists’ response was to repeat “sorry to hear that, you’ll have to phone back in the morning”. The patient I am sure was pretty distraught by this conversation. Only she knew just how bad she felt – the Receptionist had no way of knowing how bad she actually was – but she was saying she was having suicidal thoughts – bad enough in my opinion. .My advice to her if she was refused an appointment was to ask if she could speak to a Doctor. In the event that there was no Doctor available to speak to her she should ask to speak to the Practice Manager or someone else in charge. As a patient if you feel that it is urgent enough that you need to see a Doctor that same day and the Receptionist cannot offer you an appointment ask to speak to someone about it or ask for a Doctor to call you back. As a manager I would be alarmed if this had been a Receptionist at my Practice but I feel very confident that this would not have happen. All of our Receptionists would have received training in dealing calls similar to this. This should never have happened. What is to say that there would not have been an appointment the following day? Why ask her to phone back again only to be told there are still no appointments. The patient requested an urgent appointment. That needed to be taken into consideration straight away. The Receptionist didn’t even have to ask why she needed the appointment, the patient explained why she needed the urgent appointment. Someone suffering with depression and admitting that she was having suicidal thoughts should have had alarm bells ringing. If Surgery had finished and perhaps there was no doctor on the premises (lunchtime) then the Receptionist should have called the duty doctor for advice. Receptionists are dealing with calls like this on a regular basis, especially for “emergency” and “same day” appointments, it is a difficult task for them as they only have so many appointments that they can offer to patients on a daily basis. A good Receptionist will often be able to give a helpful solution to the patient by either offering an alternative appointment/day or perhaps offering an appointment with another healthcare professional i.e. the nurse or getting someone to call the patient back. But at the end of the day if the patient insists they need an urgent appointment and the Receptionist is unable to give them one then the Receptionist needs to speak to her Senior Receptionist or perhaps a Doctor for advice. And then there was a letter from a listener that goes to show that there are many patients out there that are more than happy with the service that we give. Can I – as a patient – stand up for those receptionists who are anything but rude, especially those in our local surgery in Hillsborough, Co. Down who are simply exceptional. As a family with two young children we have all had our fair share of visits and always been treated with the utmost courtesy and care. Whilst we take on board the negative comments , and hopefully deal with them in the appropriate way, it is always nice to get positive feedback. You don’t know how much that means to staff to hear that they are appreciated and the job they are doing are doing it well. Everyone thrives on good feedback. As a Receptionist and a Manager I am still always overwhelmed at the positive comments and feedback that we get on a regular basis from the patients. This is what makes the job so very special. How do you thank you staff at Christmas? How do you or your Practice thank your staff? Do you tell them on a regular basis or keep it to once a year at Christmas? In my experience you will get far more from people if they are shown thanks and appreciation and it doesn’t have to cost very much either. Here is how I used to say “thank you” to my staff. When I was leaving the surgery of an evening I would always take time to go into Reception, ask if everything was ok before leaving and as I left always say “thank you for all your help today”. If I needed to go to one of the other surgeries to see one of the Doctors or the Surgery Team Leader I would always make a point of showing my face in Reception – I always wanted to be approachable and let the Receptionists know that I was always there for them. Again when I left to go back to my own office I would always thank everyone as I left. At the end of any Team Meetings I would always thank everyone for coming . When someone did something that stood out and was beyond their job description I would speak to the Practice Manager and she was in agreement we would get the Staff Partner to say “thank you” in the form of a letter. This letter could then be put on their CV and used in their next appraisals (when again it could be brought up). This was not something that I did very often – so when a member of staff did receive a letter it was obvious that they had been praised for their good work. If the incident was appropriate and with the permission of the Receptionist receiving the letter I would use the incident in the next staff training. If a Receptionist was having a baby or getting married I would organise a baby shower and the Receptionists would get together over lunchtime and have a good laugh. This was great for team work as they would organise the lunch, the presents and work together on making sure it was a great shower. If an older Receptionist became a grandmother I would always send them a congratulations card. If a member of staff was off on long-term sick I would always send them a get well card and tell them how much they were being missed. My Practice Manage would send each surgery a Christmas card – I would send one to each individual member of staff thanking them for all their hard work throughout the year. To me this was very important to let each member of staff know how much I appreciated their hard work that year. I would also get a personal present for each of the Surgery Team Leaders at Christmas – just a small token but again to thank them for all their efforts over the year, and let’s face it I could not have done my job as well as I did without their support and hard work. The Practice would give the staff a Christmas Party – usually in the form of a Dinner Dance – this really can keep moral going – and everyone was always on a high for a few days after – staff very much appreciated the Practice doing this for them. The Practice would also give the staff gift vouchers every Christmas – again this was extremely kind of the Partners to do this and again the staff always really appreciated this. So, it does not have to cost a fortune to say “thank you” but it can be worth its weight in gold. How do you thank you staff?